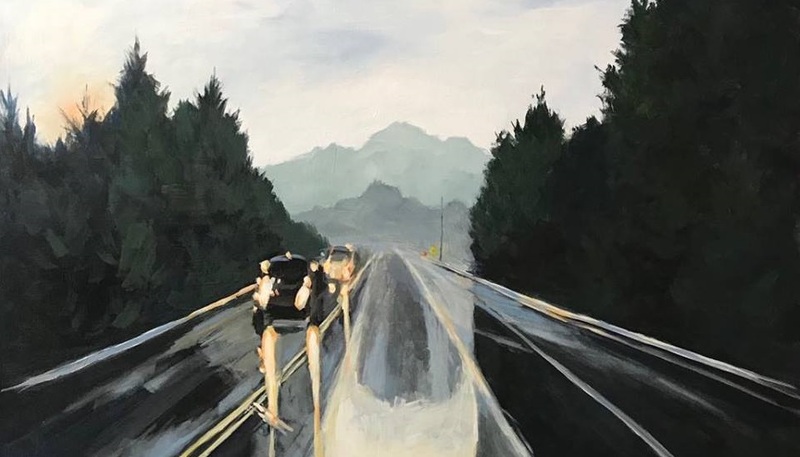 The painting Rainy Spring Evening on Route 29 by Michelle Thomas typifies the works that art enthusiasts will find on the Spring 2018 NBat tour and was chosen as the cover photo for the event brochure. Each season, the North Branch Art Trail presents an opportunity for locals and tourists alike to get out and explore a wide variety of businesses, events, and attractions along and near a 100-mile stretch of the beautiful North Branch of the Susquehanna River. The Spring NBat Artisans Tour is a 10-day self-guided driving tour that begins Friday, May 4th and continues through Sunday, May 13th, featuring more than 40 Tour Stops to discover & explore between Owego, NY and Wilkes-Barre, PA.
To guide you along the way, be sure to pick up a copy of the Art Trail’s Spring NBat Guide. You’ll find your very own copy in the April 25 issue of The Susquehanna Independent (Montrose, PA), the April 29 issue of the Owego Pennysaver Press (Owego, NY), or the April 29 issue of The Sunday Review (Towanda, PA) or at tourism organizations and participating Spring Tour Stops throughout the region. Turn to the Guide’s center-spread to find our easy-to-use map that shows where you’ll find each of the 40+ Tour Stops. In addition to art galleries, artist studios & artisan stores, you’ll find arts & tourism organizations; restaurants & coffee houses; specialty food shops & bakeries; craft shops & antiques stores; farm markets & historic sites; hotels & inns; movie theaters & performing arts centers; community events; and a whole lot more. Use the map to select your starting point and decide just how many of our cool towns you can make it to: Owego, Waverly/Sayre/Athens, Towanda/Wysox, Wyalusing, Montrose, Laceyville, Meshoppen, Mehoopany, Tunkhannock, Clarks Summit/Waverly, Scranton, and so on. And who knows what exciting finds you’ll discover between tour stops! Along the way, be sure to keep an eye open for our “NBat Tour Stop” signs. They’ll help you find what you’re looking for and identify each Tour Stop when you arrive. Once the 10-day artisans tour is over, be sure to hold on to your NBat Guide. It will be a valuable resource to have close at hand in May, June & July, until the Summer Guide comes out at the beginning of August. The North Branch Art Trail is a program of the Kitson Arts Alliance. Created in 1994 by Wyalusing-area artist Brian Keeler, the original North Branch Art Trail flourished for a number of years, bolstered by an annual event in Wyalusing around Columbus Day that featured regional art exhibits, studio tours, a community festival, and even a triathlon. After guiding and growing the Art Trail and its annual events for nearly two decades, Keeler moved out of state. With his blessing, the Kitson Arts Alliance stepped in to keep the Art Trail going – expanding it to its current 100-mile route, seasonal artisans tours, and a quarterly companion publication, the NBat Guide. For more information, visit www.northbrancharttrail.com, like both Kitson Arts Alliance and North Branch Art Trail on Facebook, or send an email to dantompkins570@gmail.com. Showcasing their diverse skills, the student exhibition combines a mix of artistic pursuits and talents, allowing the LCCC art students an opportunity to present publicly a selection of their best work. The start of a new life leaves memories of Ithaca and the Finger Lakes. A local artist gives a glimpse into what the current trend of mass incarceration looks like with an overwhelming array of graphite and charcoal studies.